Jade Roper Tolbert is getting candid about why she isn’t the biggest fan of the term “rainbow baby” — but she is starting to understand a deeper meaning behind it. 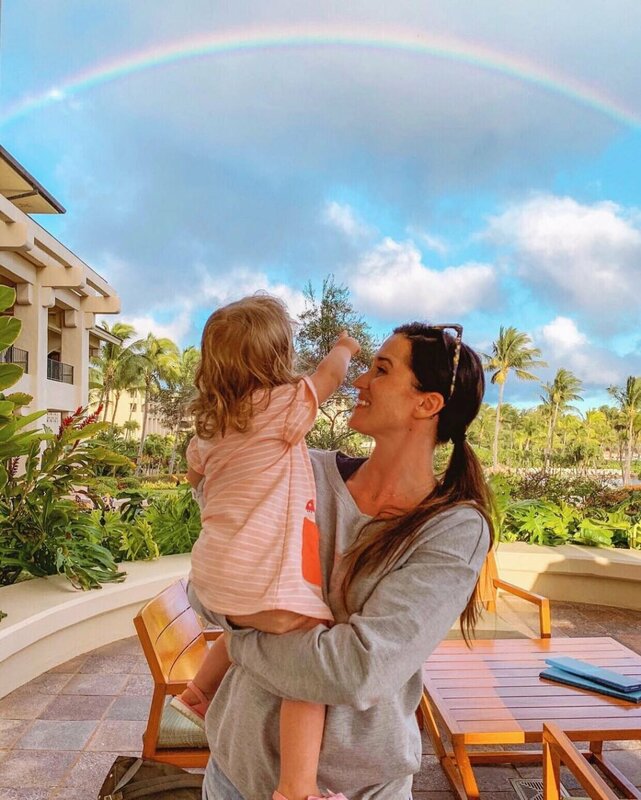 In an impassioned Instagram post on Thursday featuring a snapshot of herself with 19-month-old daughter Emerson “Emmy” Avery, who’s pointing at a rainbow in the distance, the pregnant Bachelor in Paradise alum explained that she felt “so angry inside” every time she thought about assigning that term to her daughter. The second-time mom-to-be previously opened up about her past miscarriage, revealing in a personal Instagram post in late February that she and now-husband Tanner Tolbert conceived during their season 2 stint on BiP but ultimately lost the baby. In her Thursday post, Roper Tolbert went on to recall a moment during the family’s recent Hawaiian vacation that made her think about the term again in a different light as she, Tanner and their daughter observed a stunning “full rainbow” in the distance. Jade and Tanner, 31, announced in January that they will be welcoming their second child, revealing in March that their little one on the way is a boy.